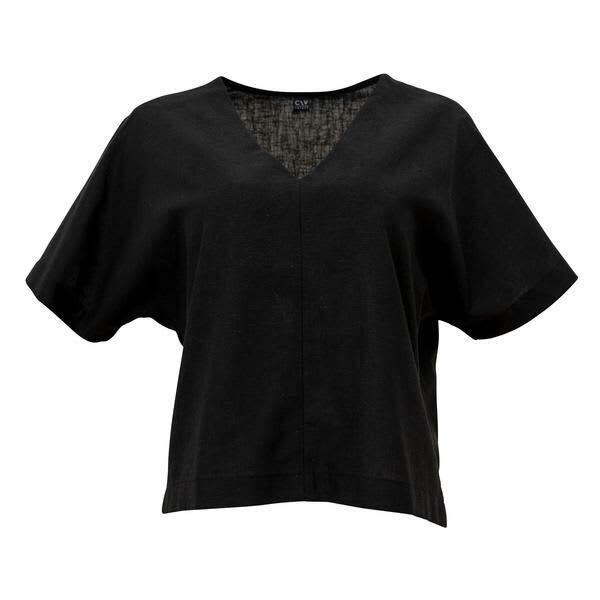 Corvera Vargas' Lille linen top is an elegant and casual wide fit V-neck top with short kimono sleeves. It can be worn with the V at either front or back. Comes in black colourway. Made in Poland.